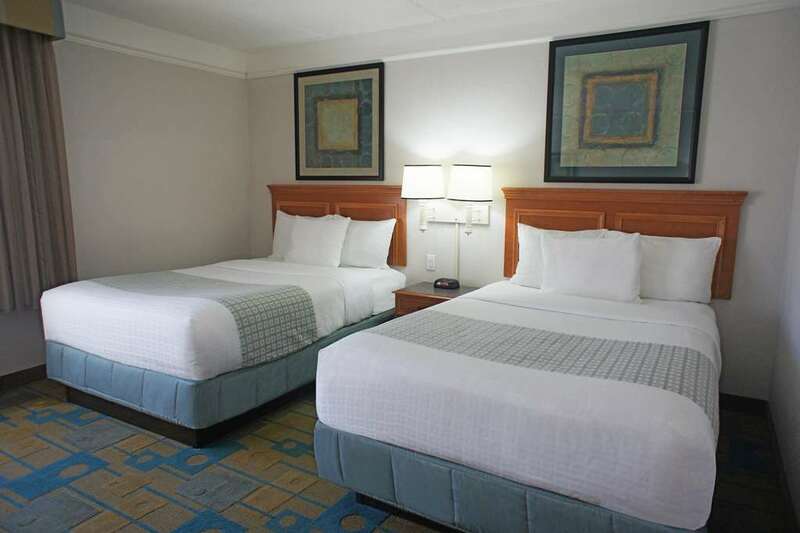 The La Quinta Inn & Suites Ft. Lauderdale Plantation at Peters Rd is only seven miles from the Ft. Lauderdale Airport and just fifteen miles to the renowned sand beaches. From here, visit Everglades National Park and other fabulous area attractions and attend sports and entertainment venues at Hard Rock Stadium, BB&T Center, and the Broward Center for Performing Arts. Enjoy challenging golf, lots of great nearby eateries, and shopping at Sawgrass Mills Mall. All of the colorful and comfortable rooms at the La Quinta Inn & Suites Ft. Lauderdale Plantation at Peters Rd come with free high-speed Internet access, a coffee maker, hair dryer, and other useful extras. King rooms include a refrigerator and microwave. Stroll through lush vegetation of our peaceful courtyard and rest in the shaded gazebo. Take a refreshing plunge in our resort-style heated pool, relax in the burbling spa, and enjoy a great workout in the well-equipped fitness center. We have meeting facilities with fax, copy, and printer services available. Help yourself to a filling Free Bright Side Breakfast in the eating area off the lobby every morning. Located just north of I-595 at University Drive. Convenient for visitors to Motorola, TradeStation Securities, and other businesses, and to Nova Southeastern University.